"Thy word is a lamp to my feet and a light to my paths." — Ps. cxviii. 105. Spiritual reading is devoted to the reading of lives of saints, writings of Doctors and the Fathers of the Church, theological works written by respected and reliable theologians and holy people, and doctrinal writings of Church authorities. It is different from lectio divina, which focuses on the Holy Scripture. The biblical basis of the practice of spiritual reading is St. Paul's advice, "Attend to reading," (1 Tim 4:13) which meant that Timothy his disciple should "apply to the reading of holy books, not in a passing way and for a short time, but regularly and for a considerable time," said St. Alphonsus Liguori, Doctor of the Catholic Church on Moral theology. St. Bernard of Clairvaux said that "spiritual reading and prayer are the arms by which hell is conquered and paradise won." It is not an easy thing for us to think supernaturally, and an occasional look into a spiritual book will not be sufficient to develop in us the habit of doing so. If we are to keep our judgments sure in a spiritual sense, our outlook on life wise with true wisdom, and our conduct under the guidance and control of motives of faith as opposed to those of worldliness, spiritual reading must come to form the most substantial element in our daily intellectual nourishment. It is only thus that it will effectively counterbalance the evil tendencies of nature by awakening and sustaining supernatural tendencies in the soul. Spiritual reading substitutes, for the maxims and examples of the world, the maxims and examples of Our Lord and the Saints. In a word, it is a kind of daily invitation to look beyond earth to God and the things of God. 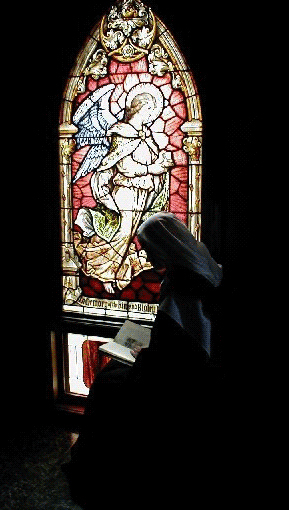 To a spiritual life, the reading of holy books is perhaps not less useful than mental prayer. 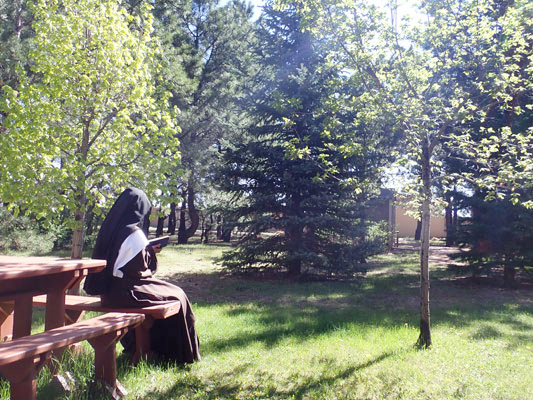 St. Bernard says that reading instructs us at once in prayer and in the practice of virtue. Hence he concluded that spiritual reading and prayer are the arms by which hell is conquered and paradise won. We cannot always have access to a spiritual father for counsel in our actions and particularly in our doubts, but reading will abundantly supply his place by giving us lights and directions to escape the illusions of the devil and of our own self-love, and at the same time to submit to the divine will. Hence St. Athanasius used to say that we find no one devoted to the service of the Lord that did not practice spiritual reading. Hence all the founders of religious orders have strongly recommended this holy exercise to their religious. St. Benedict, among the rest, commanded that each monk should every day make a spiritual reading and that two others should be appointed to go about visiting the cells to see if all fulfilled the command, and, should any monk be found negligent in the observance of this rule, the saint ordered a penance to be imposed upon him. But before all, the Apostle prescribed spiritual reading to Timothy: Attend unto reading. Mark the word Attend, which signifies that, although Timothy, as being bishop, was greatly occupied with the care of his flock, still the Apostle wished him to apply to the reading of holy books, not in a passing way and for a short time, but regularly and for a considerable time. The reading of spiritual works is as profitable as the reading of bad books is noxious. As the former has led to the conversion of many sinners, so the latter is every day the ruin of many young persons. The first author of pious books is the Spirit of God, but the author of pernicious writings is the devil, who often artfully conceals from certain persons the poison that such works contain, and makes these persons believe that the reading of such books is necessary in order to speak well and to acquire a knowledge of the world for their own direction, or at least in order to pass the time agreeably. But I say that, especially for nuns, nothing is more pernicious than the reading of bad books. And by bad books I mean not only those that are condemned by the Holy See, either because they contain heresy or treat of subjects opposed to chastity, but also all books that treat of worldly love. What fervor can a religious have if she reads romances, comedies, or profane poetry? What recollection can she have in meditation or at Communion? Can she be called the spouse of Jesus Christ? Should she not rather be called the spouse of a sinful world? Even young women in the world that are in the habit of reading such books are generally not virtuous seculars. But some one may say, “What harm is there in reading romances and profane poetry when they contain nothing immodest?” Do you ask what harm? Behold the harm: the reading of such works kindles the concupiscence of the senses and awakens the passions; these easily gain the consent of the will, or at least render it so weak that, when the occasion of any dangerous affection occurs, the devil finds the soul already prepared to allow itself to be conquered. A wise author has said that by the reading of such pernicious books heresy has made, and makes every day, great progress, because such reading has given and gives increased strength to libertinism. The poison of these books enters gradually into the soul; it first makes itself master of the understanding, then infects the will, and in the end kills the soul. The devil finds no means more efficacious and secure of sending a young person to perdition than the reading of such poisoned works. Remember also that, for you, certain useless books, though not bad, will be pernicious, because they will make you lose the time that you can employ in occupations profitable to the soul. In a letter to his disciple Eustochium, St. Jerome stated for her instruction that, in his solitude at Bethlehem, he was attached to the works of Cicero and frequently read them, and that he felt a certain disgust for pious books because their style was not polished. He was seized with a serious malady in which he saw himself at the tribunal of Jesus Christ. The Lord said to him: “Tell me; what are you?” “I am,” replied the saint, “a Christian.” “No,” rejoined the Judge, “you are a Ciceronian, not a Christian.” He then commanded him to be instantly scourged. The saint promised to correct his fault, and, having returned from the vision, he found his shoulders livid and covered with wounds in consequence of the chastisement that he had received. Thenceforward he gave up the works of Cicero and devoted himself to the reading of books of piety. It is true that in the works like those of Cicero we sometimes find useful sentiments, but the same St. Jerome wisely said in a letter to another disciple, “What need have you of seeking for a little gold in the midst of so much mire” when you can read pious books in which you may find all gold without any mire? As the reading of bad books fills the mind with worldly and poisonous sentiments, so, on the other hand, the reading of pious works fills the soul with holy thoughts and good desires.